Thank you for joining us at the 3rd Annual Green School Summit! Click Here for Mini-Grant Applications! TN Aquarium River Teacher Program - River Teachers is a week-long professional development workshop for teachers. This year, the Tennessee Aquarium is hosting one week for middle & high school teachers and one week for elementary school teachers. The teachers will learn ways in which they can bring freshwater science and conservation to the classroom. Citizen Science Outreach Program: Ivy Academy will present a new state accredited course that they developed for a TN state science credit. They will show how their students are collecting data on tree phenology, lichen, salamanders, seasonal events changes, bird migration, stream health, macro invertebrates, etc. Their new outreach program will allow leaders from these courses to visit other schools to help start their own data collection plots so that they can work to collect good, quality data for Hamilton County to map bioindicator species for air quality, water quality, and climate data. Creative Discovery Museum - Their dynamic group of Outreach Educators interacted with almost 50,000 learners in 2017. They will discuss the wide variety of standards-based lessons for children from three years to 8th grade. Food Recycling Programs: Be a part of the discussion and the change to sustainable waste management in schools. Atlas Organics, a commercial composting company that services the tri-state area with food waste recycling, will share their experience in implementing their composting program and sustainable choices curriculum in schools throughout South Carolina. Hear the educational benefits of teaching the food life cycle holistically, the impact on students' understanding of their role in making a difference and the hundreds of thousands of pounds that they have collectively been able to divert away from landfills. ARC - U.S. Green Building Council (USGBC) will be hosting ARC for free for K12 schools for 1 year. The platform allows a school to plug in their data about Energy, Water, Waste, Human Experience and Transportation and compare against themselves, month over month, year over year, to a regional average and a global average. This is a great PBL opportunity for students of all ages. Grant Writing 101 – Venture Forward will explain how to research grant opportunities via Foundation Directory online. The Unfoundation and Junior League representatives will discuss how they evaluate grant applications and what makes for a good application. 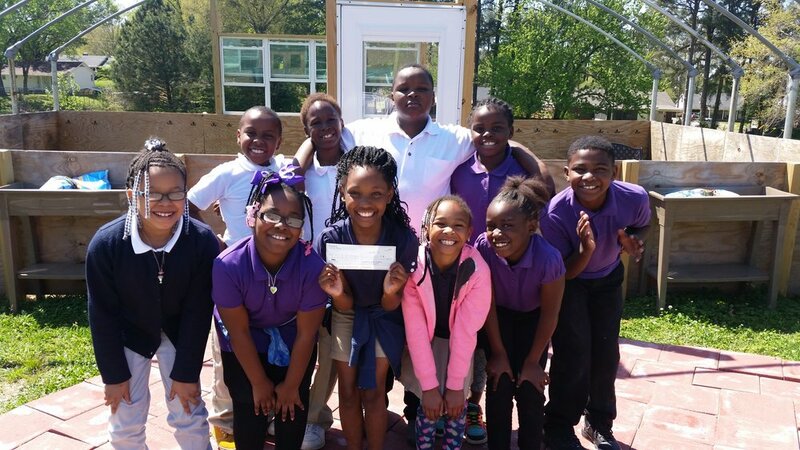 Affordable School Gardens- Teacherpreneur project winner, Olivia Bagby, will present on their hydroponic garden systems. The project will feature how schools can use hydroponics garden systems, that is built with students, to be more efficient and affordable than traditional gardens. She will be prototyping some garden systems with students this semester as they research hydroponics and aquaponics, and then they will begin building and selling these affordable systems to schools.